I’ve had the idea to make two new warlock patrons for a while now. I put it out there on Twitter and asked people to vote as to which I should make first: the dragon or the tarrasque. The dragon managed to squeak out a narrow victory, so we’ll begin with that! The challenge with the dragon patron is to make it a subclass with different abilities and flavor from the dragon soul sorcerer. Note that what is below is considered playtest material. This is not this subclass’s final form. Please let me know what you think! You have made a pact with an ancient dragon, one who has outlasted entire civilizations and has knowledge far beyond most other creatures in the multiverse. 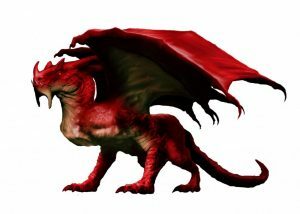 Your dragon patron may be a chromatic dragon with evil desires, a metallic dragon with a good heart, or perhaps another kind of powerful dragon with aims that could be selfish, charitable, or inscrutable. Your pact gives you a taste of this being’s innate power and knowledge and also connects you to the pride and greed of dragon minds, qualities you might adopt. Dragons powerful enough to make pacts with mortals include Iymrith the blue dragon and Klauth the red dragon from the Forgotten Realms, Borys the Dragon of Tyr in Dark Sun, and Niv-Mizzet of Ravnica. A cabal of powerful dragons could also become a warlock patron, like the Chamber in Eberron. The Dragon lets you choose from an expanded list of spells when you learn a warlock spell. The following spells are added to the warlock spell list for you. Starting at 1st level, you can speak, write, and understand Draconic. At 1st level, you gain proficiency in the Perception skill. Your proficiency bonus is doubled for skill checks made with this skill, and you can take the Search action as a bonus action on your turn. At 6th level, you gain the eldritch blast cantrip if you do not already know it. When you hit a creature with more than one attack granted by your eldritch blast cantrip on the same turn, that creature must succeed on a Wisdom saving throw or become frightened of you until the end of your next turn. If the creature’s saving throw is successful, the creature cannot be frightened by attacks from your eldritch blast cantrip for the next 24 hours. Starting at 10th level, you can choose one of the following damage types when you finish a long rest: acid, cold, fire, lightning, or poison. You gain resistance to that damage type until you choose a different one with this feature. In addition, you can choose to have the damage from your eldritch blast cantrip be the chosen type of damage instead of force damage when you cast the spell. Starting at 14th level, you can transform into a dragon. As an action, you can turn into any creature of the dragon type whose challenge rating is equal to or less than your level for 1 minute, until you revert to your normal form as a bonus action, or until you drop to 0 hit points or die. Your statistics, including mental ability scores, are replaced by the statistics of the dragon form. You retain your alignment and personality. You can’t use any legendary actions or lair actions of the new form. You assume the hit points of your dragon form, and when you revert to your normal form, you return to the number of hit points you had before you transformed. If you revert as a result of dropping to 0 hit points, any excess damage carries over to your normal form. As long as the excess damage doesn’t reduce the your normal form to 0 hit points, you aren’t knocked unconscious. You are limited in the actions you can perform by the nature of your dragon form, and you can’t speak, cast spells, or take any other action that requires hands or speech, unless your dragon form is capable of such actions. Your gear melds into the new form. You can’t activate, use, wield, or otherwise benefit from any of your equipment. You can’t use this feature again until you finish a long rest. I’m definitely looking for feedback here, so let it rip in the comments. Thank you to those who do! Have you ever been in this situation? You spend time planning elaborate combat encounters for your player characters to face only to have them attempt to negotiate, fool, sneak by, or otherwise evade your monsters’ claws, jaws, eye beams, and blades. The players’ plan is clever. Their checks are succeeding. They just might pull this off! But what about the epic battles you’ve planned? What will you do for the other three hours of game night after they bypass these encounters that were meant to take the whole time? What about the time you spent preparing the battles? So you force the fight anyway. There was nothing they could do! Battle was unavoidable. Everyone slogs through, but it’s clear the players aren’t having as good a time rolling dice as they normally do. Why? Their agency was taken away. No matter what they did, you were going to make them fight. For about the first decade or two of running roleplaying games I did this constantly. I had a fight prepared and therefore it must happen! It took me a long time to realize that whenever I forced my players into a battle they tried to avoid, those encounters were slower and less exciting because the players were less engaged. It’s not to say a few failed checks or a bad plan shouldn’t result in combat, but if the players are clever and luck is on their side, don’t force combat on them. The players are telegraphing the kind of story they want to tell with their actions. It’s important to pay attention when they try to avoid combat (and when they rush headlong into secure facilities with guns blazing seeking a fight). All of this is easier said than done. In many game systems combat is the most comfortable arena for new GMs and players. The best way you can break out of the cycle of forcing combat on your players is to get comfortable with all aspects of your chosen game. Let’s look at why combat is comfortable then I’ll break down some techniques to help you get comfortable in all other aspects of play (also known as exploration and interaction in Dungeons & Dragons). Because combat in many roleplaying games is deadly and/or has a big outcome on the story it tends to have the most clearly defined rules of the game. Time is broken down into rounds and turns, everyone acts in an order according to the initiative, and all participants can only perform a certain number of actions on a turn. In many games it is easier to adjudicate combat as a GM because we have so many rules working for us. A GM doesn’t need to make a judgement call. They just need to know the rule. If a case comes up that isn’t covered by the rules, it’s easy to make an on-the-fly ruling because there are so many rules surrounding the rule-less space. Outside of combat the safety net of lots of specific rules drops away in many games. It can be scary to adjudicate in a more lawless arena, especially for a new GM, for fear of messing up the story, accidentally treating player characters unfairly, or simply freezing and not knowing where to go next. While there are exceptions, it is much easier to estimate the time it takes the player characters to fight a group of enemies than the time it takes to do almost anything else in a roleplaying game. When I was playing fourth edition D&D, I could plan on each combat taking 45 minutes to an hour, which made preparation a snap! Got four hours of game time? Plan four battles! Looking back it’s easy to see that is a LOT of combat, even if every battle is on the lower end of the time spectrum. If I had been more comfortable with improvisation and group storytelling, I could have planned for less combat and my players (who like variety as many do) would have probably enjoyed those games more. Because combat has so many rules attached to it, it’s easy to prepare. Put a few goblins and worgs in a room and you’re good to go! But if you need to give those goblins and worgs names, personalities beyond murderous, and motivations beyond slaughter, preparation takes more time. When a GM is starting out, combat seems to be the easiest part of the game to prepare, so it gets prepared a lot. The truth is being flexible and learning to come up with story on the fly is even easier than preparing for combat, but it takes some getting used to! So how do you get comfortable with other aspects of your game of choice beyond combat? My first recommendation is to have a few safety tools ready to go. I wrote a blog post about a few good improvisation techniques and tools. In addition to the tools and techniques listed there have a few random tables or lists with names, NPC personalities, and random encounters (including noncombat encounters) ready to go! Not only are these useful, but these tools have another function. They make you feel comfortable. Being comfortable is essential to improvisational storytelling. If you have a net to catch you, you’re more likely to take risks and figure it out as you go, rather than having it all planned out. Invite the players to build the story with you by asking questions. Did they bypass your combat encounter and get through everything you prepared earlier than you planned? Ask them, “What do you want to do next?” Let them provide ideas of where to take the story. That takes the burden of storytelling off of you, and a direct question like that tells you EXACTLY what your players want out of the story. You might be surprised at the responses you get, and enjoy the exciting new direction your game takes! Don’t be afraid to take a break from playing to think about and prepare the next leg of the journey. Players are often grateful for a chance to stretch their legs, check their phones, use the bathroom, chat, or grab food without feeling like they’re missing something or being rude. This gives you an opportunity to make a rough plan. One reason GMs force carefully prepared combats upon players is because we spent time planning and don’t want to lose the investment. Fear not! Save that prep. You can use it for another game, another group, or another time. If you remember this, no prep is ever wasted and you won’t feel the need to force a battle. 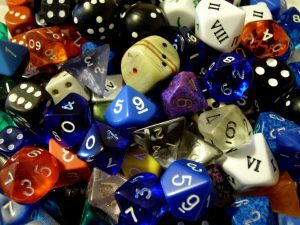 Determining the success or failure (or degree of either) of a character’s action in roleplaying games with dice, block towers, cards, or some other randomizer is a BIG part of the fun in roleplaying games, but there are times when allowing automatic success actually results in EVEN MORE fun. Game masters new and old can fall into the trap of calling for a check for every little action the player characters perform, leading to a slow game full of monotonous disappointments. How can a superhero character be expected to take on the aliens invading New York if they failed the roll to lace up their shoes? This post covers many of the situations in which GMs should skip the check and just let player characters succeed. Avoid asking the player characters to make checks when failure has no consequence. Think beyond the immediate consequence of the check when you’re determining this. For instance failing to climb a wall might seem like it has no consequences since the character just stays at the bottom of the wall until they succeed, but if a swarm of flesh-eating beetles closes in on the area at the bottom of the wall, failure should be an option. The consequences of failure are not always readily observable to the player characters. They may not know why the GM asked for a roll in a situation where it seems failure has no consequence, but the GM knows about the hidden enemies and hazards the player characters don’t notice. That wall could be crumbling and failing to climb it could make the whole thing collapse on top of the player character! If the player characters are not pressed for time and the task they try to perform can be attempted over and over again without consequence for failure, allow them to succeed without a check. Take the earlier example of climbing up a wall while beetles approach. No beetles means no time pressure so the player characters climb that wall without making a check (unless you have some other cool consequence for failure, like the crumbling wall). If the player characters are attempting a task that is very easy, allow the check to succeed, even if it is a task where failure could have consequences. For instance most D&D games don’t have the GM calling for a player character to make a check to pick up a sword off the ground or open an unlocked door during combat. Why? The task is super easy. Even with the threat of death it can be accomplished without any chance of failure. Nothing makes heroic characters feel lame like failing at a task most 5-year-old children can accomplish with a 100 percent success rate. Grant the characters automatic successes when failure would bring the story to a dead stop. Think of a murder mystery where the characters are the detectives. If you have a clue at a crime scene that puts them on the trail of the killer and failure to find the clue would leave them without a single lead, allow them to find the evidence without making a check. Keep the story moving! 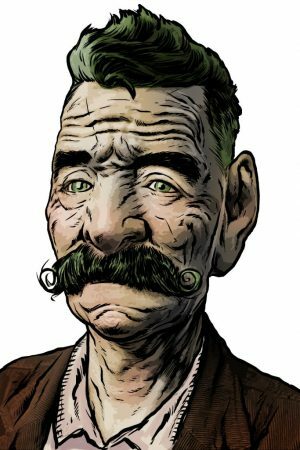 The GUMSHOE system from Pelgrane Press does a wonderful job moving stories forward. Each character has a set of Investigative Abilities that do not fail when used, though a character’s General Abilities, which revolve around combat and action sequences, CAN fail. I think about this Acquisitions Incorporated moment from PAX 2012 all the time. The moment begins as 1:50:48 in the video below. Wil Wheaton gives a pretty epic description of what he wants his character to do, and Chris Perkins allows it to happen because as the GM he knows it is fun. You can do the same thing in your games. This technique encourages your player characters to get descriptive with their actions because they know they could earn an automatic success with a killer description. Note this is a technique that may not be right for all games or groups. It is also something others may want to use sparingly to avoid every character’s turn taking 20 minutes as your players give a monologue seeking automatic success (though that approach actually sounds rather fun to me). If you like what you’re reading please consider supporting me on Ko-fi, follow me on Twitter, like World Builder Blog on Facebook, check out my podcasts, find my products on the DMs Guild, tell your friends about the blog, and/or leave me a comment and let me know you think. Thanks! “Fifty dollars for one book? !” That was my reaction when the prices of the fifth edition D&D core rule books were announced. Like many I decried the cost. “D&D books were already expensive,” “The whole set will be $150!” and, “They’re just books!” are the kinds of things I was saying to my friends. Now that I’m on the side of creating these products I see things very differently. Saying an RPG is just a book is myopic and at $50 a single D&D core rulebook is a steal. Though my own views have changed the community still needs a bit of a push towards being fine with paying more for RPG products. People are clearly willing to shell out money for official D&D books, but when it comes to smaller publishers (who often have thin profit margins) many consumers still hem and haw over cost. Before I dive in I do want to say that I totally understand cost is a totally legitimate barrier to entry for some people to RPGs. I am going to address what publishers should do about that as well in this post, but I also wanted to state it before getting into the weeds. This is a hobby after all, and necessities should come before RPGs. 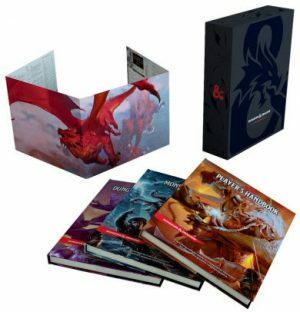 Most RPG products come as books and are available in all the physical and digital formats one expects with the medium. Many gamers tend to compare such products to other books they buy, which for a lot us are comic books and novels. Those books aren’t put together the same way a set of RPG rules or an adventure is, and they aren’t used the same way either. We need to stop thinking of RPG products as books and start thinking of them as what they really are: games. A lot of us are are willing to shell out more than $50 for a video game system or board game. RPGs have far more in common with these products than comics or novels. Most RPG products require more hours of work than a comic book or novel of similar size, which is not to say putting together comics or novels are simple tasks. An RPG product has more people working on it than a typical comic or novel. Open up any official D&D book and you see a long list of names. Many have multiple game designers, artists, art directors, editors, proofreaders, developers, graphic designers, producers, and playtesters. These teams are far similar in size and titles to the makeup of a team working on a video or board game than a team putting together a novel. Like all books RPG products go through editing, but they often have another round or two due to changes made after playtesting. The products can spend more time in development than a comic or novel because they need to by played over and over again to get right like video and board games. It’s not just Wizards of the Coast going through this process. Most companies write, edit, playtest, write, edit, and playtest again (and again and again) because it’s the only way to ensure a product plays as intended. You can get a good idea of the scope of work on a shorter RPG product in this article on Alphastream from Teos Abadia. All these people need to work on the product to get the quality you’ve come to expect as a consumer, and they all need to be paid. If those people aren’t paid enough, your favorite designers and artists go work in different industries or the company doesn’t pay for art, editing, or playtesting, and the product suffers. RPG products provide more value than a book or comic in terms of the hours of quality entertainment they provide. Harry Potter and the Order of the Phoenix is $29.99 in hardcover. As the longest book in the series it is 257,045 words. If you read at a speed of 200 words per minute (a speed on the slower end of average), you would finish the book in a little over 21 hours. For most of us our favorite RPG products have provided far more entertainment (and the stories we get from replaying adventures are always different as opposed to a novel). Compare RPG product prices to going to see a movie, a concert, a play, a night at the bar, or most any other paid entertainment activity and the price per hour difference is massive. In this sense again RPGs are more like video or board games, since each hour of entertainment can cost pennies (and in many cases RPGs provide even more fun than video or board games). How Do We Shift Thinking? If you’re reading this blog, odds are you agree with me already. You don’t think of RPG products as just books. You think of them as the games they are. How can we help shift the thinking of others and get people to pay what RPGs are worth? Consumers and publishers can help. Don’t Pirate. Piracy isn’t just theft, it’s also a great way to hurt an RPG company. With such small profit margins even taking a small number of sales from an RPG publisher can mean the difference between losing money or turning a profit. Don’t steal, and if you have friends who pirate, tell them to knock it off. Leave Reviews. Have an RPG product you love? 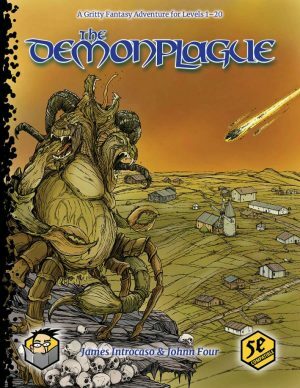 Leave a review for it on DriveThruRPG, DMs Guild, Amazon, or wherever you purchased it. This helps other consumers (and the publisher) know the product is worth the cost! Play More Games. The more games you play with friends, the more you all appreciate and value the hobby and its products. Make time to play games, and you’ll prioritize the purchase of them. Got other ideas? Let me know in the comments. Offer Free and Reduced-Price Previews. I know this seems counter-intuitive, but in the internet age people don’t always have the luxury of flipping through a book in a store before buying it. If you want to ask people to pay for your product, you have to show them it’s worth the cost. Plus there really are a lot of people out there who want to play your game but cannot afford the cost. By offering free or reduced-cost basic rules, starter sets, and other products you extend good will and prove your product is worth it. These loss leaders help grow the hobby and reduce people’s desire to pirate. Value Your Work. Be the change you want to see in the world. Pay people what they are worth, and if you need to sell a product at a higher cost to make money on sales, do so! You hurt yourself and the industry if you make your product cheaper. You can always lower the cost if you shoot too high. Show How You Work. Take a little time to breakdown how your products are made for consumers. Instagram production photos, tweet updates, blog, vlog, etc. to let the world know the blood, sweat, and tears you pour into your products. This messaging not only gives you a new way to connect with your consumers (woo social media content! ), it also gives your customers a chance to further value your work. Something everyone can do is share the message. Share Teos’s article, engage your friends in discussion when they say products are too high, share this blog post (shameless plug), and tell people to stop pirating. It’s going to take more than just one crazy dude blogging, so let’s start the shift together! This article first appeared on D&D Beyond. I’ve stripped most of the references to the D&D Beyond to keep the advice here more universal and streamlined. If you want advice on how to build a background specifically in D&D Beyond, check out that version of the article. 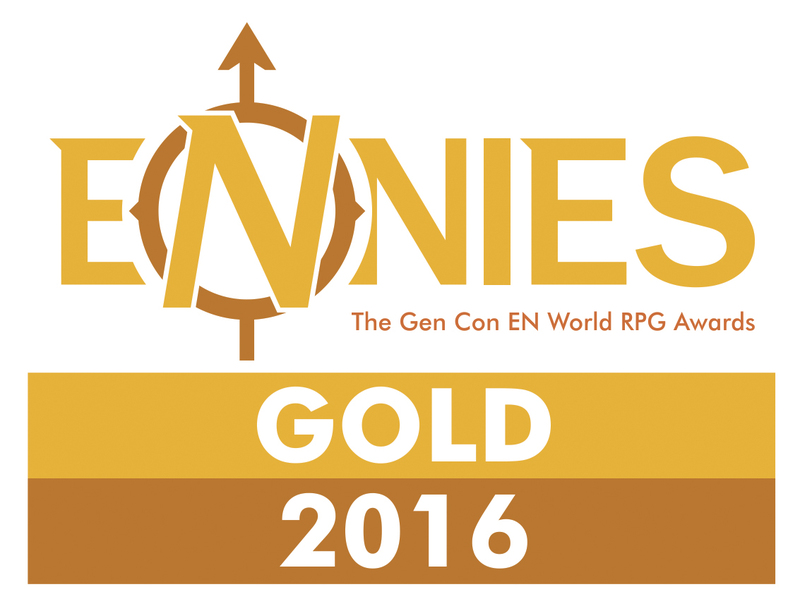 Do you want to join the ranks of Bigby, Melf, Mordenkainen, and Rary? Then it’s time for you to craft some spells! Spells are one of my favorite elements of fifth edition Dungeons & Dragons to create because magic is limited only by our imaginations. That said, spells have a lot of moving parts that help the incantations find their places in the game. Getting a spell’s level right is the real trick to balancing it all, but in that question there are several other considerations like the spell’s range, casting time, and potential concentration requirement. Have no fear. This article provides step-by-step instructions for making a balanced spell in D&D. Does my creation already exist as official D&D content? Can I reskin or tweak another creation to suit my needs? If the spell you’re considering designing doesn’t already exist and can’t be built by tweaking an existing one, it’s time to design your own. For this article, I created two new spells called shorten/stretch limbs and thunder shout. Once you have an idea for your spell, it’s best to pick the spell’s level so you have other spells as guidelines to work against rather than designing the other elements of your spell and then trying to assign it a level later. You can adjust the spell’s level as you design. Think about other spells your spell to which yours is similar to get a target spell level going. Shorten/stretch limbs is a spell like enlarge/reduce that only affects a target’s limbs. Reduce/enlarge is a 2nd-level spell, so I’ll do the same for shorten/stretch limbs. Thunder shout has an area of effect and deals damage similar to the 3rd-level fireball spell, so I’ll make thunder shout 3rd level. What school of magic fits your idea for the spell? If you’re unsure, look at similar spells and read the description of the different schools of magic. Based on similar spells, shorten/stretch limbs is a transmutation spell, and thunder shout is an evocation spell. Official spells have one of the following casting times: 1 action, 1 bonus action, 1 reaction, 1 minute, 10 minutes, 1 hour, 8 hours, 12 hours, or 24 hours. By far the most common of these is 1 action, so consider that the standard for spells. If your spell is cast as a reaction or bonus action, its overall effect for its level should be less powerful. Compare the healing potential of healing word, which takes a bonus action to cast, to cure wounds, which takes an action. Both are level 1 spells, but healing word only restores 1d4 plus a spellcasting modifier’s worth of hit points while cure wounds heals 1d8 plus the caster’s spellcasting modifier. If your spell takes 1 minute or longer to cast, you can increase its overall power for its level. Prayer of healing, a 2nd-level spell, heals five more creatures than a casting of cure wounds using a 2nd-level spell slot, but it also has a casting time of 10 minutes. Keep in mind that if you spell takes more than 1 action to cast, odds are no one will cast it during combat. Shorten/stretch limbs and thunder shout both have a casting time of 1 action, since they are both meant to happen during combat. Components are a bigger part of balancing a spell than many people think. All official spells have at least a verbal or somatic component. (There are no spells the require just material components and no spells that require no components.) Most spells have verbal, somatic, and material components, though the material component usually has no cost. Use that array of components as the standard. If your spell has fewer components, then it’s easier to cast which affects its balance, but not drastically. If your spell has a costly material component, then its effect should be more powerful than the average spell of its level. Before you decide which components your spell has, review what each means mechanically so you know why the spell is easier to cast without one of the components. Compare healing word and cure wounds again. The former has only a verbal component and is weaker and the latter has both a verbal and somatic component and is stronger. The action economy is the heavier determining factor here, but it should be pointed out that a cleric can’t cast cure wounds while bound and can still cast healing word. There are two kinds of costly material components, re-usable focuses, such as that required by the scrying spell, and consumed components, like the diamond used with the raise dead spell. Since both raise dead and scrying are 5th-level spells, compare them to another that has no costly material components, destructive wave. Dealing 10d6 damage to and knocking prone each creature within 30 feet the caster chooses with destructive wave is nothing to sneeze at. But compare that magic to the ability to spy on anyone anywhere in the same plane of existence as you and it doesn’t feel as powerful. Then compare both those spells to the ability to bring a dead person back to life and both pale in comparison. The material components help balance the casting of these spells out. When you’re creating material components that don’t cost any money, have some fun! There’s lots of good jokes in the official spells. Shorten/stretch limbs and thunder shout both require verbal, somatic, and material components (but no costly material components). Does your spell create an area effect? If so, would most people casting the spell want to be included in its effect? What is the range on some similar official spells or the same level? Let those spells guide your design. Does your spell create the effect another spell of the same level does, but at a different range (like healing word and cure wounds)? Then the effect of the spell the allows for greater range should be weaker than the effect of the spell with the shorter range. Thunder shout is an area effect spell that originates with the caster, so that has a range of self. Shorten/stretch limbs has a range of 30 feet, which is the same as the similar spell of the same level, enlarge/reduce. When it comes to your spell’s duration, look at other spells of similar effect and the same level. Duration has a big impact on your spell’s balance. Imagine how much more powerful spells like banishment, greater invisibility, and hypnotic pattern would be if their duration were 1 hour instead of 1 minute? At the very least, a massive increase in the spell’s level would be called for to balance them. Here’s a guideline: spells that shouldn’t last for longer than a single combat encounter should last 1 minute or less and spells that shouldn’t stay in effect if the characters stop to rest should last 1 hour or less. Another aspect of duration to consider is concentration. Do the other spells you’re comparing your spell to also require concentration? Would your spell no longer be in effect if its caster is incapacitated? Does it seem unbalanced that a caster could cast this spell and also cast fly, invisibility, stoneskin, or another concentration spell? If you answered yes to any of these questions, then your spell likely requires concentration. Most spells that last more than a round require concentration. Those that do not have weaker effects than those that do. Thunder shout happens and is over and therefore has a duration of instantaneous. Shorten/stretch limbs has a duration of 1 minute and requires concentration, like enlarge/reduce. Your spell’s description should provide any flavorful and mechanical effects caused by the spell. This is where balance is most important, so review the spell creation guidelines in the Dungeon Master’s Guide and find similar spells to compare to yours. There’s limitless possibilities with magic. Each spell is its own little exception to the rules, so make sure you compare and contrast. If your spell effect is unique and no other spell that comes close to what it makes happen, take your best guess as to how to balance it for its level and then playtest the heck out of it before making it public. You shout a thunderous word of power that explodes outward from you. Each creature within 20 feet of you (not including you) must succeed on a Constitution saving throw or take 6d6 thunder damage and be pushed 10 feet away from you. A creature that succeeds on its saving throw takes half as much damage and isn’t pushed. Spells with other effects can be more difficult to nail down. You should find as many similar spells as you can of the same level and other levels to help you balance it out. If the spell inflicts a harmful non-damaging effect that a saving throw totally nullifies, make the effect big (and give the subject a chance to save against an ongoing effect at the end of a turn or upon taking damage). For instance, blindness/deafness, a 2nd-level spell, makes a target who fails a saving throw blinded for 1 minute and gives them a repeat save every round. That’s detrimental, but requires many failed saving throws, so few subjects spend the entire minute blinded if it affects them at all. That’s why it’s on the same level as a spell like darkvision. You cause a creature with arms and/or legs that you can see within range to shorten or stretch its limbs for the duration. If the target is unwilling, it can make a Constitution saving throw. On a success, the spell has no effect. Shorten. The target’s walking speed decreases by 15 feet and it makes weapon attacks with disadvantage. Stretch. The target’s walking speed increases by 15 feet and its reach with melee weapon attacks doubles. Of hundreds official fifth edition spells a mere thirty-three are ritual spells. Spells that can be cast as rituals are utility spells that are not usually cast during combat. They have one other guideline, which is that they’re the kind of spell that can be cast to help the characters move the story forward. Imagine you’re running an adventure and your players need a key in an underwater cave to advance the plot. None of the characters can survive without air for that long and the druid who prepared water breathing is out of spell slots. Good thing the druid can cast the spell as a ritual and the story can move forward without forty-five minutes of your players arguing about how long air would last in an upside-down bucket and how long medieval wood could withstand the pressure at 20 feet down. Other ritual spells follow this guideline, like Leomund’s tiny hut and phantom steed. Even if your spell isn’t meant to be cast in combat and can help advance the plot, think long and hard before giving it the ritual tag, especially if your spell has no costly material components since that means the spell can be cast an unlimited number of times. Think about how your players might use the spell in their downtime with unlimited castings. Leomund’s tiny hut just means the character has a magic shelter to live in, but unlimited castings of major image (a non-ritual spell of the same level) means the character can run the world’s longest con. Neither shorten/stretch limbs nor thunder shout are ritual spells. Your spell doesn’t need to have a greater effect if cast using a higher level spell slot, but many spells do. If you decide to do this, know that it should not affect the balance of your spell at the lowest level it can be cast, but it could affect the balance of your spell being cast at higher levels. If your spell deals damage, then giving it another die of damage for each level beyond at the first which it can be cast is a great option as seen in fireball, lightning bolt, and phantasmal killer. That’s what I did with thunder shout. If your spell has an effect beyond damage, once again look at similar spells. Blindness/deafness, conjure animals, and sleep all have higher level effects, but work in different ways. Many spells also have no effect at higher levels, like shorten/stretch limbs. Thunder shout is almost a souped-up version of thunderwave. I’m going to make that one available to bards, druids, sorcerers, and wizards like thunderwave. Since shorten/stretch limbs is similar to enlarge/reduce, I’m going to my spell to sorcerers and wizards to match. Now that you’ve created your spell, read it outloud and edit. Even the most experienced designers need to edit their work. Then send your work to a friend to make comments. A second pair of eyes helps you understand if the design intent of your spell is coming through. If you have the opportunity to playtest your new spell, take it! Nothing is a better test of your design work than actually seeing it in action. It’s a great excuse to get friends together for a game of D&D! Give your spell to someone else to use during the playtest, again to see if the design intent comes through. Change anything you think needs it after playtesting. It’s time to make your work public! That means sharing the spell with your group, posting it to a blog, putting it up for sale on the DMs Guild, or on D&D Beyond. Here are the final versions of shorten/stretch limbs and thunder shout. There you have it! A step-by-step process for creating a D&D spell. I can’t wait to see what people create. Share your creations with me on Twitter @JamesIntrocaso on in the comments below. 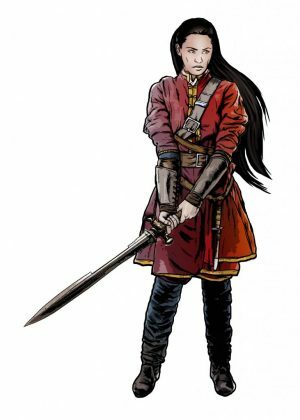 When it comes to designing new elements of D&D, there are few pieces of the game as important to get right as new races. The story and mechanics of a player character’s race come up multiple times during every session of play. The same reasons to be careful while designing a race are also what make building a new one so fun and rewarding. You’re adding a big piece of to the game! Unlike a spell, feat, monster, or magic item that your players might ignore most of the time, an original race sets your game apart from all others. Getting the balance right might seem daunting, but don’t let that stop you. Like previous Design Workshop articles, I’m going to go through the process of creating a race step-by-step. If the race you’re considering designing doesn’t already exist and can’t be built by tweaking an existing one, it’s time to design your own. For this article, I created a new race called farfolk. These humanoids are influenced by the Far Realm. The story of your race should be broken down into at least four sections, each of which should be at least one paragraph. The introduction of your race should give an overview of what the people of the race are like, where they come from, and where they live. Some of these opening descriptions, like the one for the dwarf, are no longer than a sentence, while others, like the genasi, go on for several paragraphs. Give enough information for a general overview of your race before diving into the details. Provide at least a paragraph of physical description for your race. Include body types and shape, color options for hair, skin, and eyes, fashion sensibilities, and anything else that sets your race apart from the rest. Start this section with a short heading that let’s players reading the description prepare for what’s ahead and get reminded of the race’s appearance when they come back to it. For instance, the physical description for elves has the header “Slender and Graceful,” which sums up elf physiology quite well. These headers are valuable both as a quick summary for the reader but also as a focus for you as you design your new race. Provide at least a paragraph about the typical attitudes, philosophies, religions, and reasons for adventuring that your race has. How does your race differ from others in these areas? As with the physical description section, add a header to sum-up your race’s attitudes and philosophies. You can choose to add as many other sections as you like to your race’s story. You could add a section about where the race typically lives, like the halfling’s “Pastoral Pleasantries” section, a section about how your race views other races, like the lizardforlk’s “Hapless Soft Ones” section, or sections about strange customs, unique behaviors, and the like. Add as much description as you like and don’t forget your helpful headers. After all your story sections are complete, write a final section about your race’s naming conventions and include example names. How many names does a typical member of your race have? Who do they inherit any familial names from? Do they have nicknames? Are their certain sounds or a particular number of syllables these names have? When a pregnant human comes into metaphysical contact with an entity of the Far Realm, their unborn child can become warped and strange, developing into one of the farfolk. Farfolk are able to have children with other farfolk and humans. The offspring these unions also produce farfolk. The strange race are shunned by others for their differences of appearance, but those who befriend the contemplative race know their oddities are gifts. Though humanoid, farfolk have an otherworldly appearance. Their great black eyes take up much of their bulbous, hairless heads that end in short tentacles. Instead of a nose, they sport two nostril slits in the middle of their faces just above their thin-lipped, circular mouths. Farfolk skin can be any shade of blue or purple mottled with marks of black, gray, and red. The hands and fingers of farfolk are long and slender, just like the rest of their spindly bodies. Since farfolk are feared for their alien appearance, they tend to wear baggy, hooded clothing to conceal their features. Many farfolk feel they belong nowhere and go through much of life as observers while taking in the actions of others. Their cerebral minds analyze every behavior of other races as well as the forces of nature, habits of animals, and the like. These observations teach farfolk about the world they live in. When farfolk interact with others, they use behaviors and phrases they learned by watching others. A farfolk abandoned by its parents and raised by wolves acts like a wolf, a farfolk raised in a dockside tavern cusses like a sailor, and a farfolk raised in a noble household has manners better than any royalty. Farfolk tend to be on the move, not just because they’re unwelcome or restless, but also because they feel a need to observe more of the world. The more they observe, they more they understand. Traveling helps a farfolk move beyond mimicking behavior and coming into their own. This wanderlust makes adventuring a perfect life for farfolk. Their strange appearance and psionic powers leave other races uncomfortable at best with farfolk. Farfolk who spend coin in a settlement are welcome for a time, but when an accident or crime happens in town, they are the first blamed. Those who know of the Far Realm and the horrors that originate there can be hostile or fascinated by farfolk, depending on their interest in the alien plane. Adventurers of other races tend to overlook a farfolk’s alien physicality and strange observe-and-mimic behavior since they’ve seen worse and know the abilities and mind of the strange race are a boon. Farfolk with human parents have human names. Farfolk with one or more farfolk parents might have a farfolk name, a multisyllable word that borrows sounds from Deep Speech, using many X and Z sounds. Adult farfolk without a farfolk name sometimes adopt one themselves, to better reflect their heritage. It’s time to give your race traits! These mechanical bits of the game can be difficult to balance. I recommend studying what Wizards of the Coast has put out and using the mechanics of races already created to help design your own. Also, it is very important to playtest your race. Because race is such an integral part of a player character, you can only know for sure it’s balanced by playtesting. I’ll go through traits one-by-one and talk about how to balance them. If you intend to create subraces, the philosophy of balance is the same as it would be for creating a race with no subraces. Balance the race as a whole with its subraces considered. For instance, you should not compare the dwarf, which has three subraces, to the half-orc, which has none. You should compare the duergar, hill dwarf, and the mountain dwarf to the half-orc (and all dwarves to each other). It does not matter how many traits you choose to save for subraces, as long as each subrace is as powerful as its counterpoint and when combined with the universal racial traits, creates a race that can stand toe-to-toe with the others without overpowering them. Most races get a +2 bonus to one ability and a +1 bonus to another. There are exceptions to this rule. Humans receive a +1 bonus to all ability scores for instance, but this gain is balanced by the fact that humans get no other traits beyond a bonus language. Mountain dwarves get +2 Constitution and +2 Strength, but this gain is balanced by the fact that mountain dwarves are also proficient in light and medium armor. Most classes that rely on Strength in even small ways grant armor proficiency and those that don’t grant the proficiency don’t rely on Strength. If you plan on changing up the normal +2/+1 dynamic, be sure to balance for it elsewhere. It doesn’t matter which ability scores get your +2/+1 increases, if you’re sticking to the standard. Farfolk get +2 Intelligence and +1 Wisdom. Let people know at what age your race matures and about how long they live. These numbers help players get an idea of how old an elderly half-orc is and when an elf hits puberty. Give players an idea of the alignments your race tends to favor. Give a height and weight range for your race and then their size. If your race is the same size as humans (like tieflings), you can instead write that along with their Medium size. Provide the race’s base walking speed. Most creatures have a base speed of 30 feet and a few (dwarves, gnomes, and halflings) have a speed of 25 feet. Wood elves are faster than other races with a speed of 35 feet. Most creatures don’t have any special speeds beyond a walking speed, but there are exceptions (like the aarakocra and the triton). Consider a walking speed of 30 feet the baseline. If a creature has a slower or faster speed or special type of movement (like a flying speed), you need to balance for this later when your adding other traits to your race. This is where the balancing gets tricky. There are no hard rules for designing a race’s traits. Look at the traits of other races while going through this process. First make a list of the traits you want your race to have. Do those traits or similar ones exist in an official race like darkvision or the ability to cast spells? What else do races with those traits get in addition to those abilities? To get the balance right, pick an official race that is close to yours and modify it to fit your new race. Is there something that gets close to what you’re creating story-wise? Odds are it is close trait-wise as well. 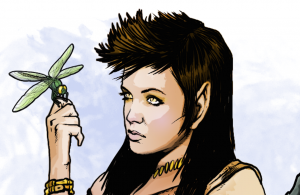 For instance, farfolk are influenced by another plane’s magic and treated like outsiders, like tieflings. The tiefling traits would be perfect for farfolk with a few tweaks. I’m going to lift darkvision from tieflings. Many monsters from the Far Realm can see in the dark, so it makes sense that our farfolk can as well. The tiefling gets Hellish Resistance, which doesn’t exactly fit for the farfolk, but psychic damage resistance makes sense. Psychic damage resistance is not as powerful as resistance to fire, since far more monsters and spells deal fire damage. To balance the farfolk’s weaker psychic resistance, I could give them another rare resistance, like radiant, but that doesn’t really gel with the race’s story. Another trait is in order. The ghostwise halfling’s Silent Speech trait fits the farfolk’s story, and it’s a fair trade for a weaker resistance. This ability doesn’t boost the farfolk’s combat capabilities or give it a bonus to saves or ability checks, it allows the creature to communicate telepathically with others. It’s a needed small boost. I also want to give the farfolk some psionic talents, similar to the tiefling’s Infernal Legacy trait. I gave farfolk characters the same trait, but with different spells of the same level. I did make one other change that boosts the power of the trait for farfolk just a bit. No components are required for the spells to give them a psionic flavor (like the mind flayer’s Innate Spellcasting (Psionics) feature). I think this change is minor enough and that the farfolk still lags behind for not having resistance to a more common damage type. That should be ok. I’ll find out if not during playtesting. That’s enough other traits! The race is almost complete. Just one more thing to do. Unless you have a very good reason, your race should be able to at least be able to read, speak, and write Common. Adding one language beyond this won’t break the game, but once a race has three or more to start, you may want to consider balancing for that by losing or making one of their other traits weaker. Farfolk can read, speak, and write Common and read and speak Deep Speech (which has no written language). Now that you’ve created your race, read it outloud and edit. Even the most experienced designers need to edit their work. Then send your work to a friend to make comments. A second pair of eyes helps you understand if the design intent of your race is coming through. If you have the opportunity to playtest your new race, take it! Nothing is a better test of your design work than actually seeing it in action. Plus it’s a great excuse to get friends together for a game of D&D! Give your race to someone else to use during the playtest, again to see if the design intent comes through. Change anything you think needs it after playtesting. It’s time to make your work public! That means sharing the race with your group, posting it to a blog, putting it up for sale on the DMs Guild, or on D&D Beyond. You can find the final version of the farfolk here. There you have it! A step-by-step process for creating a D&D race. I can’t wait to see what people create. Share your creations with me on Twitter @JamesIntrocaso on in the comments below. Next, I’ll show you how to make a new spell! There’s nothing more satisfying than dropping an original monster on an unsuspecting group of players. While trolls, beholders, mind flayers, and ancient red dragons are great, those monsters have been around for decades. Players know what to expect when encountering them. Veteran players quake when a new monster hits the table, because a fresh creation brings an extra element of terror on top of claws and jaws: fear of the unknown. I’m here to help you bring that fear to your players. Building new creature from scratch is a complicated task. That’s why I’m going to walk you through the process of monster design step-by-step. If the monster you’re considering designing doesn’t already exist and can’t be built by tweaking an existing creature, it’s time to design your own. For this article, I wanted to show you how to create every aspect of a monster and build an expected terror for my players, so I settled on using a legendary ooze I named the blood marmalade as an example. Thousands of years ago, a mad drow wizard named Maroc the Rotten became obsessed with creating a new ooze that could reason and carryout orders. His experiments resulted in the former, which meant Maroc never achieved the latter. His creation, a sanguine goop that preferred to take the vague shape of a humanoid, reasoned its way out of captivity and devoured the mage. The first blood marmalade traveled out into the Underdark, seeking more victims before it multiplied. Devourers of Knowledge. Blood marmalades are intelligent oozes that gain the memories and knowledge of any creature they devour. Their hunger for flesh is only exceeded by their hunger to know more than any other creature in the world. They set elaborate traps for humanoids, particularly wizards, and try to draw sapient creatures into their lairs with tempting offers of treasure and lost tomes. Any intelligent or fleshy organisms near blood marmalades do not last long, but the odd monsters keep mindless oozes as guards. You Are What You Eat. Blood marmalades can take on the appearance of any humanoid creature they consumed. They use the visage of their former victims as disguises to lure new meals into their homes and travel among the living to enact their plans. Maroc’s Madness. Because all blood marmalades are descended from the original that consumed Maroc the Rotten, all have a touch of the wizard’s madness and malevolence. They delight in torturing their victims (by appearing as loved ones the ooze devoured if possible) before consuming them. Blood marmalades claim agony and fear make their prey more delicious. Ooze Nature. An ooze does not require sleep. How big is your monster? What’s its type? What’s its alignment? Keep in mind a creature’s size affects its hit points (more on that later) and creatures, unlike player characters, can be unaligned. With those caveats, the choices are yours. What makes sense for your creature? The blood marmalade is a Medium ooze with a chaotic evil alignment. Before you start getting into the numbers of your monster, you need other monsters to balance it against. Choose the challenge rating you want for your monster first and then design to that challenge rating rather than trying to figure out the number after you’ve designed the rest of the creature. You will be able to compare your beast to other creatures of similar challenge ratings and charts in the Dungeon Master’s Guide if you settle on a challenge rating at the start. The blood marmalade has a challenge rating of 10 because there aren’t any oozes with a challenge rating that high in the Monster Manual and I want to surprise my players. Your monster needs ability scores just like a player character. Remember 10 represents the score of an average human and 20 is the peak of human achievement. Use those as a baseline, and look at other monsters of the same challenge rating, size, and type in the Monster Manual to get an idea of your creature’s statistics. For instance, I want the blood marmalade to be just as strong and tough as gelatinous cube, so I gave it a Strength score of 14 and a Constitution score of 20. The blood marmalade is as smart as a mind flayer, so I gave the creature an Intelligence score of 19. Since my ooze is an outlier when it comes to creatures of the same type, I gave it a higher Dexterity, Wisdom, and Charisma score than other oozes. A monster’s Armor Class is calculated the same way a player character’s is, by adding 10 to the creature’s Dexterity modifier. Compare this number to other creatures of the same challenge rating and type. You should also refer to the Monster Statistics by Challenge Rating table in chapter 9, “Dungeon Master’s Workshop,” of the Dungeon Master’s Guide. The table is a solid guideline, but not gospel. You can find outliers for all statistics throughout the Monster Manual that don’t come close to the table’s numbers like the demilich, mind flayer, and pixie (all of which have lower hit points for their challenge ratings offset their powerful spellcasting abilities among other strengths). If you want to increase your creature’s AC, you can add as much to it as you like to make it balanced by giving the creature natural armor or a suit of armor from chapter 5, “Equipment,” in the Player’s Handbook or Basic Rules. If you raise your creature’s AC, keep in mind that the tarrasque and Tiamat, fifth edition D&D’s toughest and most-difficult-to-hit official creatures, have an AC of 25. If your creature’s AC is too high, give the creature a lower Dexterity score or leave its AC as is and balance for it being harder to hit by giving it less than average hit points (or another weakness somewhere down the line). For hit points, you’ll want to check the Monster Statistics by Challenge Rating table as well as other monsters of the same challenge rating and type as your original creature as you did with AC. Once you have a good range of hit points, figure out how many Hit Dice your creature needs to get to your desired total. As the Dungeon Master’s Guide points out, creature Hit Dice are based on size. To figure out a creature’s hit point total, use this equation: hit points = Y x (Hit Dice average + Constitution modifier). Y equals the number of Hit Dice used. For the blood marmalade, I looked at many other CR 10 creatures published by Wizards of the Coast. White Maw (an ooze) from Dead in Thay in Tales from the Yawning Portal had the most hit points at 217 and Madam Eva from Curse of Strahd has the fewest hit points at 88. Most of the monsters from other sourcebooks fell between 135 and 184 hit points (fewer than what the Monster Statistics by Challenge Rating table recommends). I want the blood marmalade to be a bit tougher than average because of its low AC. I first figured out its Hit Die size, which is d8 given its Medium size. The average of a d8 is 4.5 and the blood marmalade’s Constitution modifier is +5, so the blood marmalade gets 9.5 hit points for every Hit Die it has. If I give the ooze 20 Hit Dice, that brings its total to 190, which seems perfect. Its hit points are expressed as 190 (20d8 + 100). Compare your monster’s speed to others of its challenge rating, type, and size. Give it any special movements speeds, like climbing, that you want it to have. Some special movement speeds, like burrowing or flying, can affect a creature’s challenge rating at lower levels, but at higher levels, most player characters have powerful enough spells or magic items to make those speeds less of a problem. Most oozes are slow and can climb. The blood marmalade is a special kind of powerful (there aren’t many official oozes with CR greater than 4), so I’m going to give it a fast-for-an-ooze movement speed of 30 and a climbing speed to match. The blood marmalade is already set with most of its ability scores, but given the fact that it absorbs memories, I’m going to boost its Wisdom saving throw as a reflection of that. Like saving throws, your monster doesn’t need to be proficient in any skills, only the ones that make sense. Don’t be too worried about balance here. A few skill bonuses don’t make or break a creature, unless they have a feature tied to one of the skills (like Sneak Attack and Stealth) and even then, it’s likely the skill boost is warranted to make the ability work. For the blood marmalade, I’ve given it proficiency in Deception so it can pretend to be something it’s not. Your monster does not need any damage resistances, immunities, or vulnerabilities. Do whatever makes sense for the story. To get some ideas, look at other creatures of the same type. One to three resistances or immunities don’t change a monster’s challenge rating, but four or more should make you think twice about adjusting another aspect of the monster (like its hit points) to compensate. The exception to this rule is resistance or immunity from bludgeoning, piercing, and slashing damage from nonmagical weapons. 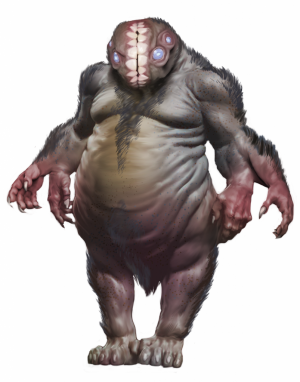 At lower levels such a strength is difficult to overcome no matter what other resistances a creature the creature has, but by a party of level 5 characters can cast a spell or two to overcome the resistance. Unlike previous editions of D&D, vulnerabilities make few appearances in monster stat blocks in the game’s current iteration. Use vulnerabilities with caution, since double damage makes some (or all depending on the party and damage type) player characters twice as strong. The blood marmalade is a super strong ooze, and as such, I gave it acid damage immunity. Your monster does not need condition immunities. Stick to what makes sense and look at other creatures of the same type. Some creature types (like oozes) have many condition immunities because they make sense with the creature’s story. Something that’s formless is never prone, something that’s mindless can’t be charmed or frightened, and something that can’t see or hear (but uses other senses) can’t be blinded or deafened. Those all make sense for an unintelligent ooze. Figure out what conditions should not apply to your creature and only add more condition immunities beyond what makes sense to compensate for the creature lacking in another area, like AC, hit points, etc. Since the blood marmalade is an intelligent ooze that can see and hear things, it has far fewer condition immunities than other oozes. (Such is the price of sapience.) It is still immune to the prone condition and exhaustion, because it still has the physiology of an ooze. Your creature should at least have a passive Perception score (calculated the same way it is for player characters). If your creature has any extra senses like blindsight or darkvision add them as well. Most senses won’t break the game. Add whatever makes sense for your creature’s story. Unlike other oozes, the blood marmalade does not have blindsight, but it can see and lives in the Underdark, so I gave it 120-foot darkvision. What makes your monster special? Some creatures, like tyrannosaurus rex, have no special traits. Others, like the vampire, have many. From spellcasting to walking on webs, anything special your creature can do that is not an action or reaction should be here. If you want to use a feature that another monster has, use the same name and just tweak the feature’s wording to apply to your monster. This helps DMs everywhere because when I see the Pack Tactics feature in a stat block, I know what it does without having to read the rest of the description because I’ve seen the feature on other creatures before. That’s what I did for the blood marmalade’s Amorphous feature taken from the ochre jelly and the Legendary Resistance feature taken from the ancient gold dragon. Knowledge Consumed. When the marmalade kills a creature with its slam attack or when it consumes a corpse that has been dead for less than 24 hours, it gains all of that creature’s memories and learns everything the creature knew, including any languages. If the creature is a Medium or smaller humanoid, the marmalade can also take on that creature’s appearance using Change Shape. These three features together don’t change the ooze’s power level beyond CR 10, since they don’t increase its raw power much. Legendary Resistance is the blood marmalade’s most powerful mechanical feature and has a limited use. If you add a lot of features to your creature, consider how they change the creature’s power level. The power to cast spells like a level 14 wizard or a big boost to damage mean you probably should increase your creature’s challenge rating or reduce its hit points, AC, or damage output. There’s a reason wizards don’t have as many hit points as a fighter. The Dungeon Master’s Guide shares how to calculate the exact attack bonuses and DCs for monster actions. Once again, follow the guidelines on the Monster Statistics by Challenge Rating table and look at monsters of a similar challenge rating to get an idea of what a monster’s average damage output should look like. If a monster is able to cast big damage-dealing spells, do extra damage under specific circumstances (like Sneak Attack), or can dish out a lot of non-damaging but debilitating effects (like petrification), consider give it a lower than average damage output for its regular attacks. Use creatures of a similar challenge rating that cast a lot of spells or those that deal out strange effects as your guide for this. Multiattack. The marmalade makes two slam attacks. Slam. Melee Weapon Attack: +6 to hit, reach 5 ft., one target. Hit: 12 (3d6 + 2) bludgeoning damage and 22 (4d10) acid damage. Acid Spray (Recharge 5-6). The marmalade squirts acid in a 30-foot cone. Each creature in that area must make a DC 16 Dexterity saving throw, taking 33 (6d10) acid damage on a failed save, or half as much damage on a successful one. Change Shape. The marmalade takes on the appearance of a Medium or smaller humanoid that has consumed (see Knowledge Consumed) or back into its true form. It reverts to its true form if it dies. Any equipment it is wearing or carrying is borne by the new form. In a new form, the marmalade retains all of its statistics. It merely takes on the appearance of the humanoid. Does your creature have a special reactions outside of opportunity attacks (like the noble’s Parry)? For the most part, reactions should not be as powerful as full actions. They’re usually defensive, like providing a quick boost to AC on a hit or a free movement when missed with a melee attack. If a creature’s reaction allows them to do more damage than a normal opportunity attack, there better be a good reason for it and balance somewhere else within the creature. The blood marmalade has no special reactions for two reasons. First, I want to leave its reactions free to take opportunity attacks with their damaging slam. Second, the ooze also gets legendary actions and adding reactions in on top of everything else is just going to make the creature difficult to run at the table. Legendary actions are reserved for D&D’s scariest and most iconic monsters: dragons, beholders, liches, and unicorns to name a few. The blood marmalade joins these ranks! When you design legendary actions, take a look at other creatures of similar challenge rating’s legendary actions to get an idea of how much damage and the effects these actions have. Like reactions, a single legendary action should not be more powerful than an opportunity attack, but many creatures can spend multiple legendary actions to gain a unique action that’s more powerful. Not all legendary actions need be attacks either, they could be movement-related or grant the creature a skill check, like the aboleth’s Detect. The blood marmalade’s slam attack is a little too damaging to grant it as a legendary action, but I have some other ideas that I think are well-balanced. Acid Spit. The marmalade chooses one creature it can see within 20 feet of it. That creature must succeed on a DC 16 Dexterity saving throw or take 16 (3d10) acid damage. Command Ooze. The marmalade targets one ooze with a challenge rating of 4 or less it can see within 30 feet of it. The ooze can make one weapon attack as a reaction and gains advantage on the attack roll. Absorb Ooze (Costs 2 Actions). The marmalade targets one ooze with less than 20 hit points remaining within 20 feet of it. The marmalade absorbs the ooze, destroying that creature and regaining a number of hit points equal to the number of remaining hit points the destroyed ooze had. While many creatures have a lair, only a few are powerful enough to have lair actions (these creatures usually also have legendary actions). Include an opening paragraph or three that describes the environment where your creature makes its lair and the defense they have in place. When it comes time to make lair actions, look at creatures of a similar challenge rating that have them (as you did with legendary actions). Lair actions are no more powerful than an opportunity attack. Use that guideline to help you create two or three lair actions. Each lair also has at least three regional effects that occur within 1 to 6 miles outside of the creature’s lair. Have fun with these effects! These can be mechanically light and flavorful. If you do give a regional effect a hard mechanic, make sure it doesn’t add to the creature’s power rating and stays regional, like the Ki-rin’s ability to cast control weather. Blood marmalades lair in the towers of wizards they murder and caves in the Underdark. They surround themselves with mindless ooze guardians they can control and make a point of being close enough to a busy road or city so that they can slip out into the night and hunt intelligent prey. The walls, floors, and ceilings of a blood marmalade’s lair drip with a slippery mucus that begins to magically appear in the place after the ooze claims it as a home. The thicker this mucus, the longer the blood marmalade has lived in the lair. A 20-foot-square glob of mucus erupts from the floor within 90 feet of the marmalade. Each non-ooze creature that moves into or is in contact with that area of the floor when the mucus appears must make a DC 15 Dexterity saving throw. Creatures that fail are restrained. The mucus last until initiative count 20 of the next round. The marmalade picks one creature it can see within 60 feet of it. A glob of thick mucus magically appear and fly at the creature’s head. That creature must succeed on a DC 15 Dexterity saving throw or it is blinded until initiative count 20 of the next round. Small lakes of red mud appear within 1 mile of the lair. A thick red mist surrounds the area within 1 mile of the lair, making the area lightly obscured. Oozes within 3 miles of the lair tremble with excitement and hunt in packs. If the marmalade dies, any ooze packs immediately disperse and the other effects fade over the course of 3d10 days. Now that you’ve created your monster, give it a once over. Read it out loud and edit. Even the most experienced designers need to edit their work. Then send your work to a friend to make comments. A second pair of eyes helps you understand if the design intent of your creature is coming through. If you have the opportunity to playtest your new creature, take it! Nothing is a better test of your design work than actually seeing it in action. Plus it’s a great excuse to get friends together for a game of D&D! Change anything you think needs it after playtesting. It’s time to make your work public! That means sharing the monster with your group, posting it to a blog, putting it up for sale on the DMs Guild, or on D&D Beyond. Lucky for me the blood marmalade was accepted. You can find the final version here! There you have it! A step-by-step process for creating a D&D monster. I can’t wait to see what people create. Share your creations with me on Twitter @JamesIntrocaso on in the comments below. Next week, I’ll show you how to make a new race!